Join two Cat5e patch cables together to make a longer cable. 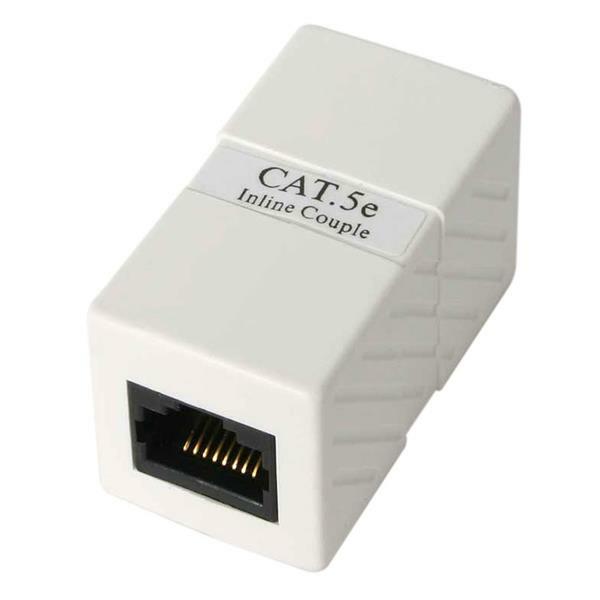 This Inline Cat5e RJ45 Coupler features a modular design, offering a versatile solution for joining adjacent RJ45 network cables together. Backed by lifetime warranty, the RJ45 Coupler offers both durability and dependability.